They're blood brothers and the love and talent for music run through their veins. This band of brothers christened themselves AJR. Adam, Jack and Ryan Met have a huge online following who are ready and raring to meet them onstage. As they dropped the announcement they're up for a tour, it became the live trending topic of the moment. And the buzz does not end there. Ticket registers are busy taking in non-stop bookings to the show. With fast and easy clicks to buy tickets on this online ticket site, there's no excuse for you to miss this show. Your friends are most likely sending you shoutouts by now. Hurry, book your tickets now! The Met brothers exposed their music and talent to the general public through busking in New York City's Central Park and Washington Square Park. Performing mostly covers, they did manage to make heads turn or stop, look, and listen to this interestingly talented DIY band performing live on the street. They have a handful of original material, largely influenced by mumbo-jumbo of artists such as Beach Boys and Simon and Garfunkel to Kanye West and Macklemore. They uploaded a performance of one of these original songs online, which traveled miles and miles, with one tweet that buzzed right on Australian singer Sia Furler's twitter account. That self-made video of their song "I'm Ready" got the ball rolling and prepped them up on the way to stardom. Impressed by what she'd seen and heard, a single phone call by Sia to her management, which was then passed on to men from the biz, clinched AJR a record deal in no time. 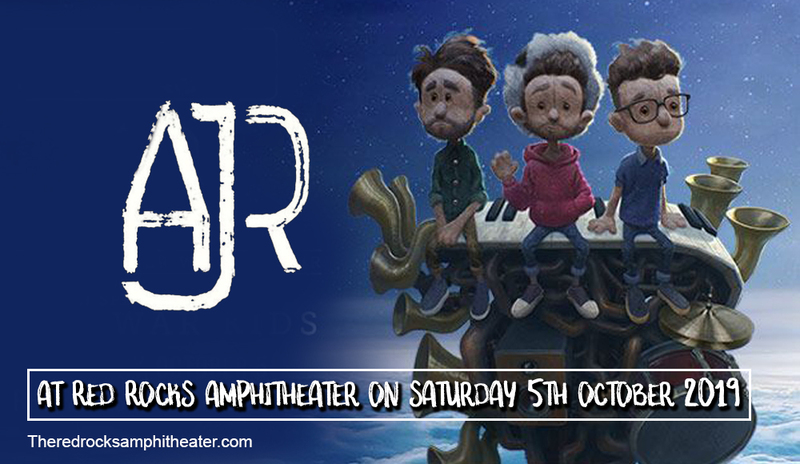 The Met brothers soon became an indie-pop collective known as AJR. They played around with music genres ranging from doo-wop, pop, electronic, and dubstep, resulting in a sonic hybrid unique to their music artistry and persona. Their debut single "I'm Ready," garnered regular airplay on Sirius XM Radio and other online radio sites, and managed to get them on live performances on Good Day New York and Vh3's Big Morning Buzz. The music video raked in over 20 million views on YouTube, and the song entered the Top 40 Singles chart. The band released a succession of successful fan favorite hits such as "Weak" and "Drama" as well as the song "Sober Up". The Click, released in June of 2017, was a groundbreaking album for the band as it marked their first entry into the mainstream album charts. AJR may have caught your attention and made you a follower due to their presence online. However, nothing beats seeing and hearing them perform live. Take this chance; it's now or never, book your tickets now!